﻿Symphony conductor draws on musical skills to beguile spring gobblers. For retired Houston Civic Symphony conductor Bob Linder, calling in a big spring gobbler is just another form of performance art. No question, the 76-year-old Marble Falls resident is a maestro in both fields. In addition to his musical credentials (a bachelor’s degree in music and a master’s in conducting), he served four years as president of the 6,000-member National Wild Turkey Foundation’s Texas chapter and has both competed in and judged national turkey-calling competitions. With the waves and dips of his baton, Linder spent decades melding the sounds of diverse musical instruments into an ear-pleasing whole that took on a life of its own. Now he uses his training and experience to extemporaneously compose turkey love songs. Though he had hunted and fished as a kid growing up in Arkansas, Linder spent most of his career in rehearsals and concerts. Not until he reached his 50s did he turn to turkey hunting at the urging of his younger brother. He learned the fundamentals from him, but once he had the basic knowledge, Linder started teaching himself — with ample help from turkeys. Now he’s a virtuoso. Linder has conducted at the Theater Under the Stars in Houston, the Cleveland Opera, the Fifth Avenue Theater in Seattle and the Skylight Music Theater in Milwaukee. 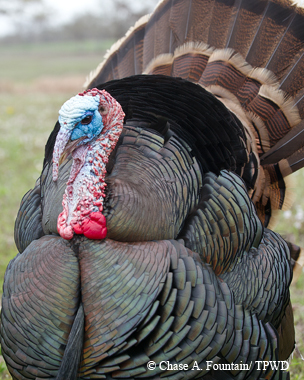 Since trading his tuxedo for camouflage, he’s hunted turkey all across Texas and the nation. Three times he’s completed the turkey grand slam, calling in an Eastern, Rio Grande, Merriam’s and Osceola (Florida) turkey. Directing a symphony orchestra, Linder had to turn the talents of 100 musicians spread across five instrumental sections into one pleasing sound. Not so with his new passion. Mouth calls make a variety of vocalizations but can be hard to master. In the spring, when Texas’ half-million wild turkeys begin their breeding season, gobblers are susceptible to calling. If a hen has come into heat and there’s no gobbler around, she starts clucking loud and fast. Gobblers respond quickly to that. Obviously, any hunter who can do a reasonable job of sounding like a lovelorn hen can call a tom into shotgun range. Of course, it’s not all that easy. Box calls are good for making yelps, clucks and cackles. As a musician used to dealing with varied musical elements, Linder knows that certain aspects of music are open to interpretation, as they are in calling. Either way, at some point a gobbler either answers or doesn’t. Sometimes a big bird’s plainly not interested. Sometimes he’s interested but prefers discretion, slipping in silently. Slate calls are also good for purrs and putts. For any call to work, a gobbler must be, ahem, in the mood for love. 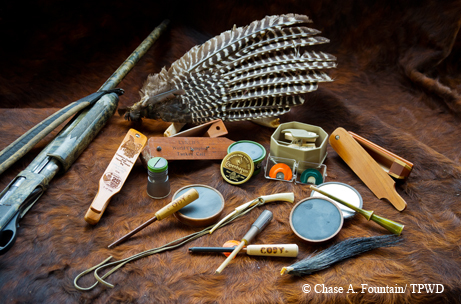 Just as an angler always has a wide range of lures in his tackle box, Linder carries a bag full of turkey calls, the better to make turkey “music.” Sometimes, depending on conditions, he uses a box call, sometimes a slate call and sometimes a mouth call. Often, he uses all three types during a hunt. For each type of call, Linder has numerous varieties that enable him to produce the sound he thinks best for a particular situation. Each call is suited for high, medium or low sound. 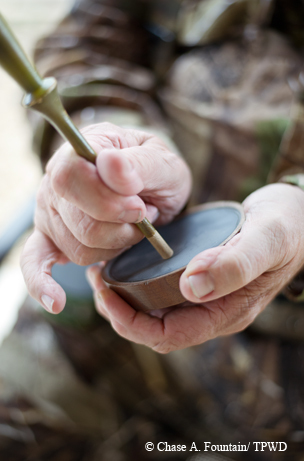 Box calls can be made to mimic yelps and clucks and cackles; slate calls are good for those as well as putts and purrs. The fighting purr call can attract even stubborn turkeys. Having spent decades dealing with notes, octaves, scales and scores, Linder tends to see things in categories and sequences. 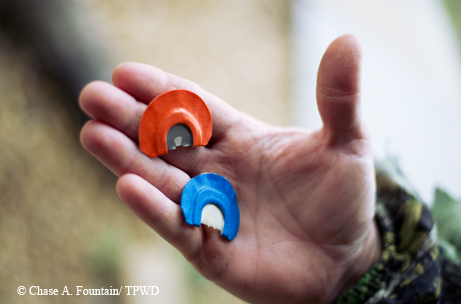 In spring turkey season, he knows there are three distinct phases. The first, early on, is when the hens are not ready to breed but the gobblers are running with them. The toms are so eager to get with the program that they don’t want to be anywhere else or with anyone else, much less answer a distant call on speculation. During this phase, it is almost impossible to call in a tom. When the gobblers are thusly “henned up,” the dominant hen decides where the flock is going to go. In the second phase, which is the easiest time to hunt, the hens are ready and the flock breaks into smaller groups, with one or two gobblers sticking with three or four hens. Breeding usually occurs in the first 30 minutes to an hour after the birds have come off the roost. The dominant gobbler enjoys most of the action and takes every opportunity to thwart any rivals, to the point of trying to keep the less macho gobblers from even gobbling. That’s why toms gobble on the roost in the morning and evening — they want hens to come in and join them. In the third phase, the hens are all bred and sitting on their nests. Boys being boys, gobblers are still trying to find interested hens, but they are not as quick to come in to a call. To the extent that a creature with a brain only 2 percent of its body size can learn, gobblers by this point have come to believe it pays to be more cautious. No matter the phase, hens and gobblers start their day where they ended their previous day — in the roost. Once they come down (to avoid predators, they do this in the open) they generally take about a two-mile walk. They go to water, then feed on forbs and bugs as they move along. In the evening, they go to water and then circle back to their roost. For example, he says, if a hunter sees a gobbler by a tree and a hen dusting at 1:30 in the afternoon, they’ll probably be in the same place tomorrow. “You can pattern them when they enter or leave the field and learn certain places they use all the time,” he says. Linder suggests arriving at your stand early, at least 30 minutes before gobbling time, to let the woods get quiet. If a hunter makes a lot of noise, the birds are not going to come off the roost until they feel safe. Before you sit down, he adds, use a green light to check for snakes and other critters, but don’t shine the light toward the roost. Turkeys aren’t all ears. Their vision is acute. Because a turkey detects motion so easily, Linder says there are only two smart times to raise your gun once you’ve gotten a tom close to your blind: when he’s strutting and his fan is covering his head and when his head goes behind a tree or bush. 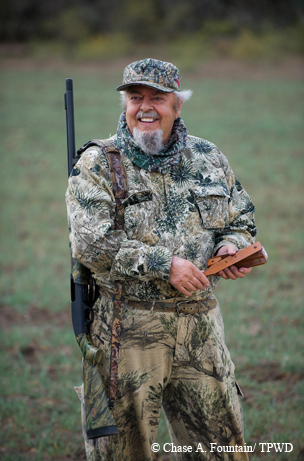 When he opts to use decoys, Linder prefers setting out a large gobbler and a hen. Seeing this setup, a flesh-and-blood gobbler with a dominating nature may well come in to run off his perceived rival. But Linder doesn’t rely on rubber birds all the time. Linder says he’s seen hens walk up on a decoy, start making alarm putts and leave the area. Though some decoys are designed to blow with the wind to simulate natural movement, Linder uses adhesive tape so the decoys won’t spin. The movement doesn’t look all that natural and scares off most birds, he says. Like humans, turkeys prefer good weather. If it’s too hot, they go to water early and late, spending the rest of the day standing under a tree, not moving much. 1. Scout the property you are going to hunt in advance and find out where the birds are roosting. 2. Learn how to be still while also being comfortable. 3. Know how your shotgun performs. Pattern it, and know which size shot is better for the situation. 4. Be properly camouflaged, with head-net and gloves. Also camouflage your shotgun. 5. Know when you need to sit still or move on a bird. 6. 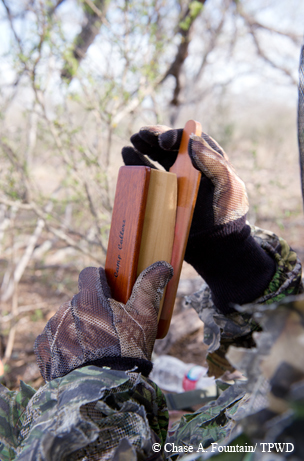 Pick a concealed place (against a wide tree or in a popup stand) that a bird can approach fairly easily. 7. Never spook birds off their roost. 8. 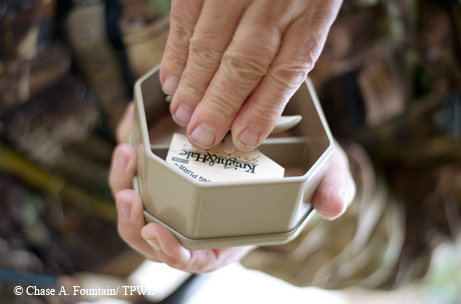 Join the National Wild Turkey Foundation. 9. You need to see the turkey before it sees you, and he'll be looking hard. 10. Finally, learn to talk turkey. Are You King of the Roost?